How to choose a good pass four wheel aligner_新闻_Shandong Zhengneng Automobile Testing Equipment Co., Ltd. The through-wheel four-wheel aligner is based on the four-wheel parameters of the vehicle and is adjusted to ensure good driving performance and a certain degree of reliability. So how do you buy a good pass-through four-wheel aligner ? Because of the brand and variety of four-wheel aligner equipment on the market. The quality is not always good, so there is often no way to buy a four-wheel aligner. Now we have three aspects, let you easily understand the purchase of a good four-wheel aligner. Quality is the most important thing for every piece of equipment, as is the four-wheel aligner. Quality is the first step of our choice. As the country currently has no corresponding laws and regulations on the consumption of this product, the domestic products are disordered and the quality of production is not high. For example, some brand equipments are equipped with computers, but the computer only uses the management function of the vehicle materials. The sensors are not connected with the computer. The data of the sensors cannot be displayed on the computer. Some manufacturers use imported low-end sensors to stop the simple assembly. I lack the maintenance of the sensors. The corpse user equipment problems can not be cleaned up in a timely and effective manner, and some are over-fired. The cut corners are often presented on the four-wheel aligner. These are the needs of the shopkeepers. 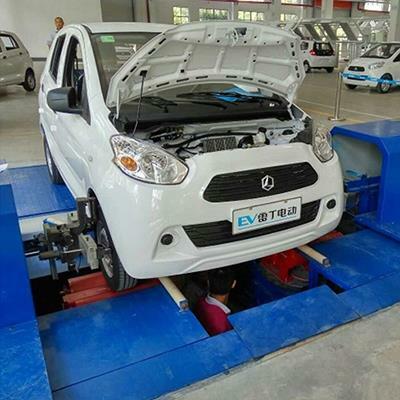 Not only that after-sales service is also an important part, good after-sales service is more important than any time, especially the four-wheel aligner, its four-wheel positioning equipment operation is more complicated, requesting manufacturers can provide quality operation training services. For those users who are not familiar with the car chassis, the manufacturer must also have the ability to locate the car. In addition, due to the new model from time to time, it is also requested that the manufacturer can advance the vehicle positioning data in time. And because its price is more expensive, it must provide timely maintenance after the equipment is in trouble. Four-wheel aligners require high technical content, as long as those with technical development capabilities can provide low-cost and high-quality repair services. Manufacturers with no technical ability often use the sensor head, change the main control board, etc. to change the large parts to stop the maintenance of the customer equipment, not only the maintenance cost is high, the owner is unbearable, and often can not come over time to stop after-sales. Since it is necessary to do four-wheel positioning, performance is particularly important. Purchasing a four-wheel aligner can see whether he can use DSP technology, adopt electronic degree, and adopt electronic turntable. These are the most important technologies for four-wheel positioning. Secondly, the measurement accuracy is considered. Measure the repeatability and measure the response speed.